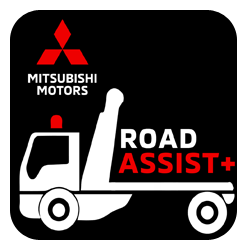 Contact Mitsubishi for questions about financing, roadside assistance and new vehicle info. Use this form to submit U.S. vehicle specific questions. All inquiries will be responded to within two business days at the latest. to have authorization from the account holder prior to speaking to you. If you would like to email your question to us, please sign up at www.mitsubishicredit.com. Once registered, you will be able to fully manage your account online, such as setting up monthly payments, changing your address, emailing your questions and more. Visit our FAQ page for quick and easy answers to your questions. Getting emergency Roadside Assistance has never been easier. Request a Quote from a local dealer.